MX Sports has released the 2019 Area Qualifier and Regional Championship Schedule and you’ll notice that Raceway Park is back on the schedule with an area qualifier in April. Read the complete release from MX Sports below. The Rocky Mountain ATV/MC AMA Amateur National Motocross Championship is the world’s largest and most prestigious amateur motocross racing program. 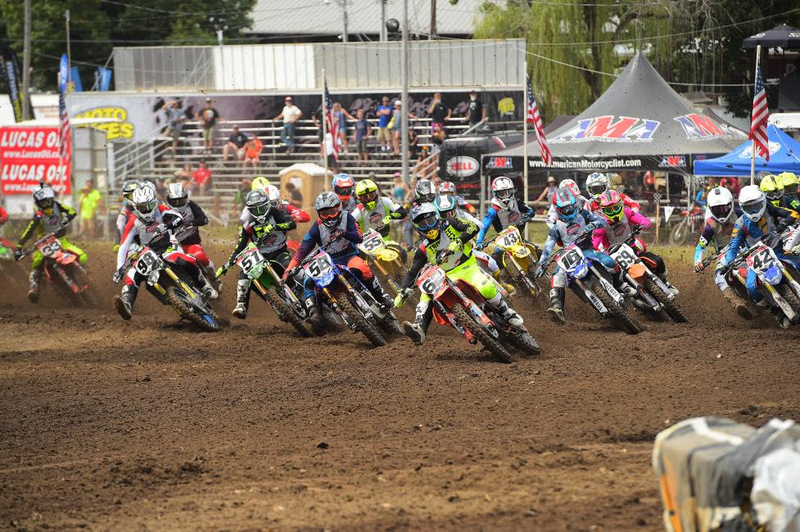 The national qualifying program consists of 54 Area Qualifiers (February through May) and 13 Regional Championships (May through June), hosted at select motocross facilities across the country. The qualifying system culminates in the National Final (first week in August) hosted annually since 1982 at the home of country music star Loretta Lynn in Hurricane Mills, Tenn. Nearly 22,000 racers attempt to qualify in 35 classes for the 1,446 available positions at the National. Christened “The World’s Greatest Motocross Vacation”, the National event serves as a launch pad for some of the biggest names in professional motocross and supercross, including Ricky Carmichael, James Stewart, Ryan Villopoto, and Ryan Dungey. The national program is produced by MX Sports, Inc., a West Virginia-based race production company and sanctioned by AMA. For more information, please visit www.mxsports.com.